Following Monday’s Islamic terrorist attack in Berlin, Marine Le Pen, leader of France’s Front National, posed a simple question. 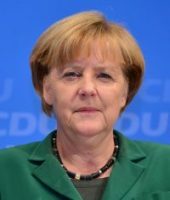 “How many massacres and deaths will be necessary for our governments to stop bringing a considerable number of migrants into our countries without borders, when we know that terrorist Islamists are involved?” she asked in an official statement. It seems that in the wake of the horrific incident at a Berlin Christmas market, the governments of Europe may finally be, however reluctantly, willing to discuss the threat of militant Islam honestly.